My first tip is to brand yourself… Too many home business entrepreneurs are branding their MLM’s or opportunities and honestly, they have enough branding… You need to brand you! What if your MLM goes out of business or you decide to go with another company? You’d have to recreate your entire brand every time. People do business with PEOPLE not companies or products! If you want to become magnetic you have to stand out in all the noise on Social Media and that is hard to do when you have all these reps dressing their social media up with all the same crap. Yes, it’s CRAP! Understand this, NO ONE cares about your company, products or services. They care about them and how you are going to help them. You might be thinking, “I’m new & I have no value to share.” Well, I beg to differ… You’re reading this post right now, RIGHT? Yes, you are and you are learning some things I bet too. So why not share it with the world? You could start by even just sharing this post. Bottom line you people are not looking for you or your company, most people are looking for more time and freedom… If you show them how to do that by leading with value you will have people drawn to you ready to join you in any business you choose. Trust me it works! When you are calling out to EVERYONE, you are actually calling out to NO ONE! You have to always be building your audience and the more targeted you can get the better. Think about who your business or brand best serves and where do these people hang out? For example, my brand’s target audience is struggling home business owner’s. Why do I speak to them specifically? Because most people that are struggling in a home business are struggling because they don’t have a leader to follow. So by standing out as a leader what do you think happens? They follow me of course and want to work with me in one of my opportunities.The more targeted you can get the better! Where do struggling home business entrepreneurs hang out? You guessed it, Social Media! You see most all over spamming groups on Facebook or posting their before and after’s on Instagram… Most are not doing this because they are bad they are just not being taught the right ways to grow their business which is why I provide training for them like theInstagram trainingI do or even all the training and tips I share on this blog. 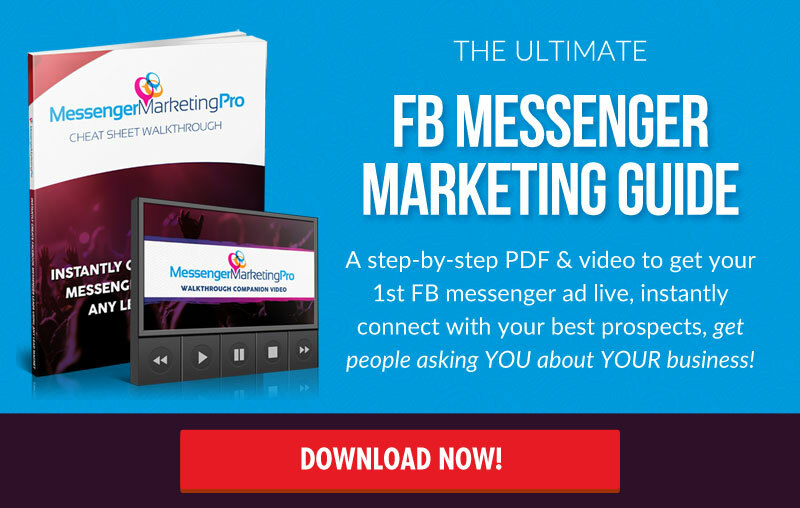 This is a BIG one and might even be the reason you are here on this post… You don’t know what the heck to do with all this Social media and training you have lol. I get it and have been there! On Social Media, YOU need to be EVERYWHERE but that doesn't mean you have to actually be THERE! You are probably wondering how that is possible so let me explain…I focus on 3 platforms and passively market to the rest. I start with Instagram… So basically all my content is really created for Instagram and since Instagram is an image sharing platform that you can also use to syndicate to other social platforms. I can share one post on Instagram and hit all 6 or 7 of my other platforms at once. I don’t focus much on building a following or engaging much with any other platforms other than Twitter, Facebook, and Instagram. And Instagram is really my main jam! Wow this is probably the mother of all reasons people struggle on Social Media. Including myself in the beginning… Consistency is so KEY! If you want to grow a loyal following you have to be Loyal to your followers. You have to serve them consistently and be in front of the as much as possible. 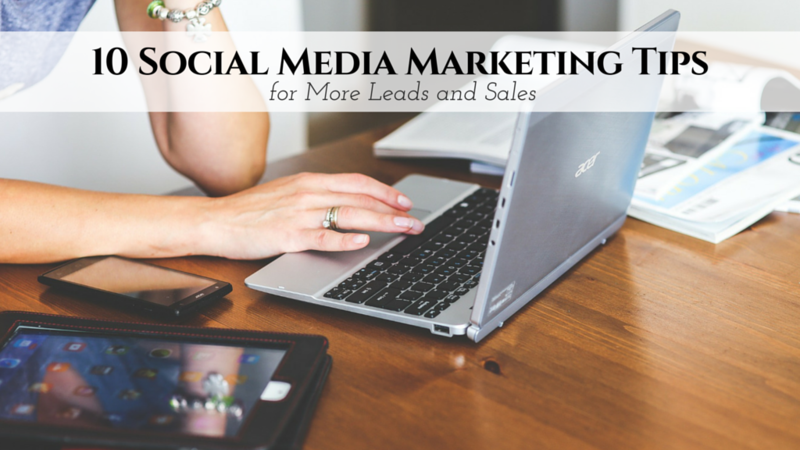 What you need to do is create a social media strategy and consistently stick to it. You should be engaging your followers, posting content and getting new followers every day. Be a CONSTANT CONTRIBUTOR on Social Media! 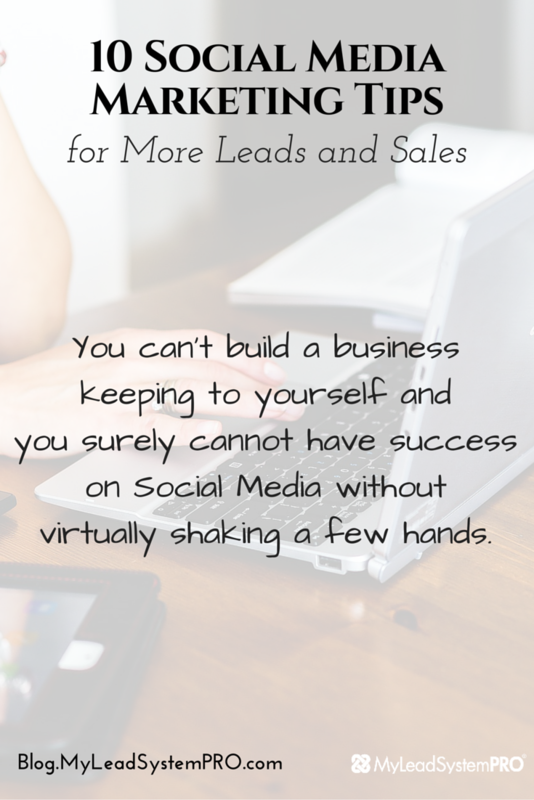 You can’t build a business keeping to yourself and you surely cannot have success on Social Media without virtually shaking a few hands. You have to get out of your bubble and interact. This does not mean you have to be a social butterfly it just means you have to acknowledge and show appreciation to your followers. I especially recommend interacting with a few other similar business’ on social media. If you are a spy and never say anything on other people’s posts, expect that no one will interact with your content either. I find it quite comical that people expect others to interact with their posts when they themselves don’t interact with anyone else’s posts. It’s the law’s of the Universe what you give out is what will be given back to you… If you are never commenting or liking on other’s posts your posts will pay for it, believe me! Definitely comment and like other people’s posts OFTEN! Be a GIVER not a TAKER! Trust me on this one, you really want to be YOU! Everyone is unique in their own way and you cannot be like anyone else. People will sense it and never be attracted to you. Look at Gary Vee he is being himself. He curses and swears in his videos and is super straight forward. People love him for that! But if you tried to be like him it probably wouldn’t suit you well and you wouldn’t get good results. Woah… Say what? I know you are probably thinking then how do I sell anything or get people to join me? Think about it this way, Social Media is for socializing and connecting with brands that they like. It is critical that you are making a connection with people’s wants, needs, and desires rather than always pitching them. You will literally push people away doing this rather than bring them towards you. You want to sell thing’s but there is a process you have to follow to build a relationship with your followers first. Then when you make a recommendation they will be more likely to listen. So for example what I do is I share a story, experience or a tip then I recommend a solution that will help them with their problems. All the things I share on social media are free and once they are on my list now I can share more value along with the occasional pitch of a product or offer. You’d think that this one would be a given but believe me there are many on social media that fail to set up their profiles so it portrays them as a professional. This means having a professional profile pic of YOU, not your company or products. Having a nice fan page banner a professional blog is super important.Look at your social media accounts right now and ask yourself, Would you follow you? If you didn’t jump at the bit to say “yes” you need to get to work on creating a successful presence.#10 Be Congruent – Your brand, message, what you post about should be congruent on all your social media platforms. Your followers should know exactly what to expect from your brand and posts. Part of creating a reliable brand is getting this part right. It’s a must! Whatever you do just get started… Fake it til you make it if you have to and don’t worry about being perfect. The cool thing about building your brand online is that is will grow with you. Just keep getting better and your brand will get better. Remember Rome was not built in one day and neither will your Social media presence be. Just like me or anyone else you start with one follower at a time, one post at a time etc. Most people are always looking for that shortcut success and never really buckle down and to learn to market the right way. I hear it all the time people always come to me and say they wish that they had taken their business more seriously and stayed focused on building it the right way instead of being distracted by all the things’ that don’t work or aren’t long lasting. If you want a lasting business you have to build a strong foundation and that strong foundation starts with YOU! Your greatest asset is YOU so start investing in it! Learn the skills you need to succeed in your business and you will be paid based on your skill sets. Look at doctors for example. They go to school for 8 years to get there doctorate then because they want to earn more they go back to school and specialize in another area. Learn the skills you need to succeed in your business and you will be paid higher based on your skill sets. Look at doctors for example. They go to school for 8 years to get there doctorate then because they want to earn more they go back to school and specialize in another area. It’s the same thing in your business if you want to be better you have to go to school and learn to be better. MLSP is the perfect platform to increase your value and you get an entire tool suite that is geared to brand you & position you as a leader on Social Media. What are your thought’s? Do you use Social Media effectively or did this post really open your eye’s to how you can be more effective? I would love to hear from you below! And if you found this post valuable please share it with others so we can help the masses. Want the Instagram Queen L5 April-Marie Tucker's 10 best tips for social media marketing leads and sales? She gives 'em up in the newest leader blog post. Click Here Now to See Them! Yes! It help me a lot!